Use Sacred in your daily practice to ground in & deepen your connection with self, spirit and Mother Earth! 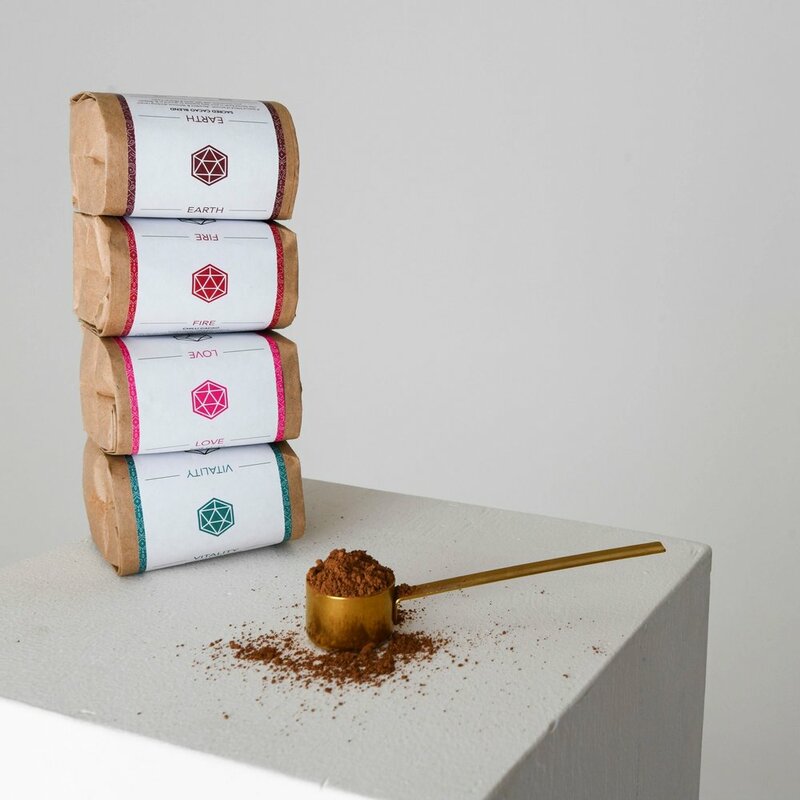 Handmade with Organic Raw Cacao Powder, Organic Carob Powder, Organic Coconut Sugar, Organic Himalayan Pink Salt. Use Sacred Fire in the morning to kick start your digestive system & fire up your metabolism, or on a cold day to warm you up inside! Use Sacred Love as a decadent & delicious after dinner treat or during the day when you need to give yourself a little extra love! Use Sacred Vitality when you need to focus & get things done. Don’t have it too late because it will keep you buzzing!